Following the great user feedback on the first version of None More Black, I’m happy to announce the shiny-new version 2, with a few major changes, and many minor ones. 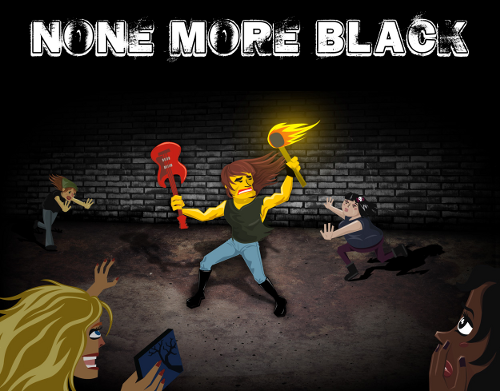 If you haven’t played None More Black yet, it’s a fast-pased asteroid’s style escape-em-up, where you play as a rock star on the run from groping groupies, and dangerous roadies. Try to survive the darkest night with the ultimate hard-rock soundtrack! Play None More Black here. As before, would be really interested in hearing your feedback!